It took all of Jeremy Carter’s thee jobs to let him produce some turkeys this week. As this year’s AmeriCorps worker at Lynch Wood Elementary School, working with students and families, he knew about the needs at the high-poverty school, where all the students get free breakfast and lunch daily. So when the Oregon State grad’s second employer, the 671st Engineer Company – he’s a reservist – had 18 frozen turkeys remaining from a donation from Safeway, he had an idea what to do with them. Then it was just a matter of telling his manager at his third job, at Dutch Bros. Coffee, not to be surprised if 18 turkeys spent a few days in the business’s refrigerator. Monday, three days before Thanksgiving, the turkeys were a highlight of this week’s Harvest Share food distribution at Lynch Wood school. The program, operated by Metropolitan Family Services, provides food for families in four schools in east county and one each in North Portland, Beaverton and Milwaukie. Typically, the distribution takes place on Fridays, but this week it seemed useful to do it earlier; besides, holding it on Monday fit the parent traffic from Lynch Wood’s student-teacher conferences. For this Harvest Share – which is, after all, another phrase for Thanksgiving — tables set around the Lynch Wood gym were covered with apples, potatoes, onions and cauliflower, provided by the Oregon Food Bank from local farmer donations. It seemed an appropriately seasonal array, and Noemi Trujano, volunteering partly to show her second-grade daughter that it was important to help, looked at the offerings and saw a dish of apples cooked with pineapple juice and walnuts on her Thanksgiving table. And, especially around this time of year, there’s something to be said for feeding kids. Across the country this season, we’re not doing terribly well feeding people who need some help. In 2010, President Obama pledged to end child hunger by 2015; five weeks from the target date, it doesn’t look like we’re going to make it. We’re even running into some problems just supporting the food donations that, from a gift of turkeys from a supermarket chain to a truckload of onions from an Oregon farm, are a vital part of our emergency food system. In the motionless morass that is Congress, 55 tax provisions lapsed this year, and have not yet been renewed. A not particularly sizable one – unless you’re a hard-pressed family trying to stock a Thanksgiving table – is a tax deduction for food donations from businesses and family farms. It’s not a huge amount, but it can cover the cost of picking and packing crops for donation. Congress comes back next Tuesday. It’s scheduled to leave the following Thursday. The House has passed a bill to make the food tax donation deduction permanent; the Senate Finance Committee, chaired by Oregon’s Ron Wyden, has voted to extend all the tax rules. A Wyden staff member explained Tuesday, the goal is to deal with all the rules together. If nothing happens, the tax year – and the holiday season, when lots of donation decisions are made – will end without the deductions in place. To make the point on produce, Feeding America sent every Senate office a bag of apples. Tax policy is complicated, and these days Washington has problems doing even simple things. But if Jeremy Carter can draw together three different jobs to help feed people, you’d think that Congress could manage one. NOTE: This column appeared in The Oregonian 11/26/14. Now that we’ve decided who’s going to represent Oregon in the U.S. Capitol, we can focus on who’s really going to represent Oregon in the U.S. Capitol. After this month’s election, even newly re-elected Sen. Jeff Merkley is guaranteed only six more years under the big pointy dome. But now we need to talk about a figure who could be representing Oregon there when President George Bush V delivers his inaugural address. A commission appointed by Gov. John Kitzhaber is currently reconsidering the two statues allotted to Oregon in the Capitol, positions long occupied by the early Oregon figures John McLoughlin and Jason Lee. The idea was driven an effort in the Legislature to replace Lee with the late Sen. Mark Hatfield, who unlike Lee has already spent 30 years in the Capitol, and would know how the parking and cafeteria works. Updating a state’s statue representation is not unknown; in recent years Kansas, Michigan and California have replaced figures known mostly to their state historians with statues of Dwight Eisenhower, Gerald Ford and Ronald Reagan. And while senators and congressmen who have been removed often remain in Washington, pursuing lucrative roles as lobbyists, the outplaced statues seem to have been removed to their home states, where they’re desperately trying to call their agents. There’s a lot to be said, of course, for Mark Hatfield taking one of Oregon’s spots. Hatfield was Oregon’s foremost national figure for decades, and it would be nice to have at least one Republican in the Capitol who actually spoke to Democrats. The governor’s commission, assisted by Oregon Historical Society executive director Kerry Tymchuk, has met twice, solicited from local historians a list of potential replacements and posted them on the OHS website for input. The next meeting will be a work session, to consider whether either of the current statues should be “repatriated” to Oregon, or who might stand in the Capitol instead. There are thoughts that Jason Lee might want to wait before renewing his Washington Post subscription. In the replacement survey on the OHS website, reports Tymchuk, Hatfield is currently trailing Nez Perce chief Chief Joseph, although Hatfield is leading Tom McCall and women’s suffrage advocate Abigail Scott Duniway. It’s a fine list, if rather tending toward usual suspects. Instead, this could be an occasion to make a more distinct statement from today’s Oregon. Further down the list, for example, is Oregon State graduate Linus Pauling, the only winner of two individual Nobel prizes, one for chemistry and one for peace. Along with Pauling’s being close to Oregon’s current political outlook, he’d be one of only three scientific statues in the Capitol – a useful presence when so many politicians explain they can’t think about global warming because “I’m not a scientist.” Pauling could stand next to Philo T. Farnsworth, an early developer of television, who might not have run out of things to say to his colleague from Utah, Brigham Young. Among the Capitol’s collection of noble statesmen, determined humanitarians and unregenerate Confederates, Oregon could make a very different statement with Ken Kesey, author of “One Flew Over the Cuckoo’s Nest” and the quintessential Oregon novel, “Sometimes a Great Notion.” There’s only one other writer on the list, Indiana’s Lew Wallace, a Union general who also wrote “Ben-Hur” – the book, not the movie. Representing the most recent state to legalize marijuana, Kesey would also bring a whole new atmosphere to the Capitol, where things could definitely stand to loosen up a little. 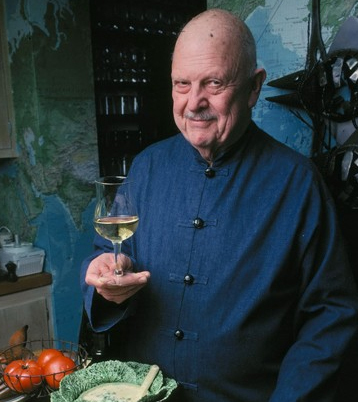 If the goal is to send the Oregonian who’s had the greatest impact on modern America, we might send James Beard, the food figure who did so much to liberate Americans from iceberg lettuce. (The Postal Service just put him on a stamp.) Besides countless cookbooks, Beard wrote one of the great Oregon memoirs, “Delights and Prejudices,” and while most of the statues have little to identify them with their state, Beard could be holding a Dungeness crab. If the Capitol took him, we might also throw in a food cart. With Beard, Oregon could also make its own 21st century statement with Statuary Hall’s first openly gay figure. Any of the names under consideration would be distinguished additions to the Capitol. Being Oregon, however, we might be looking for a figure who would not only stand there, but stand out. There would be limitations to any statue’s capacity to represent Oregon in the Capitol. Once the figure took its stand, and assumed its position, it couldn’t really do anything else. In fact, any statue would be a lot like Congress. Note: This column appeared in The Oregonian, 11/19/14. The last time the Democrats had 18 votes in the Oregon state Senate – and every set of numbers from Hillsboro and the Bruce Starr-Chuck Riley race suggests we’re at the next time – everybody remembers what happened. In fact, some folks remember it all the time. Struggling to get the state budget through the Great Recession, the Democratic three-fifths supermajorities in both houses put the tax-raising Measures 66 and 67 on the ballot, and to some surprise both passed. Ever since, it’s been a story that Oregon businesses tell to scare each other around campfires, and political fund-raising events. They’re not the only ones with hard memories of the experience. “I won’t go through that again,” declares state Sen. Ginny Burdick, D-Portland, chairman then and now of the Senate Revenue Committee. Democratic control of the next legislature is solid – Oregon is the only state in the country where Democrats strengthened their legislative grip last Tuesday – but much else about the next session seems uncertain. Democrats have a short list of things they couldn’t get through the Senate last time – a clean fuels program, expanding gun background checks, funding Legal Aid – but the list of questions runs longer than the planned answers. Just what the votes and the agenda will be, however, hangs on several other things – such as a governor who had a less satisfying election than the legislative Democrats did. The governor’s year included not only the Cylvia Hayes embarrassment, but the unending trauma that is Cover Oregon, and a final victory over Dennis Richardson of only five points, carrying only seven counties. Throughout the 2013 and 2014 sessions, legislative leaders deferred to the governor’s private back-channel talks pursuing a tax reform proposal. Those now seem less promising, and legislators might now be more apt to follow their own paths on the subject. Several legislators have ideas, and Burdick’s Senate Revenue Committee will soon be hearing a report from the state Department of Revenue on how a carbon tax might work. That leaves other, smaller possibilities being contemplated by some Democrats, such as closing tax loopholes or trying to change corporate deductions. Everything also hangs, of course, on the looming possibility of the kicker kicking, of state revenues coming in more than 2 percent above two-year-old estimates, requiring everything above the estimate to be sent back to taxpayers. Currently, projected state revenues, with more than half a year of economic growth to come, is within $20 million of kicker level. There are adjustments that could be made if revenues were just above kicker level, but if the kicker does kick, it blows a hole of around $300 million in the state budget. That would bring a whole new set of challenges and decisions before the new, larger Democratic legislative majorities. There might, however, be a limited appeal to a near-party line vote to raise taxes. We’ve been there before, in 2009. And everybody seems to remember it. NOTE: This column appeared in The Oregonian, 11/12/14. Once there was a little blue island. In the midst of the vast national red wave that was the 2014 election, the little blue atoll overwhelmingly re-elected its Democratic senator despite $3 million in TV spending by the Koch brothers, was the only state in the country to increase Democratic control in both houses of its legislature and voted to legalize marijuana. That last part might explain any cloud that seems to obscure the island. The red tide that swept across the entire country Tuesday broke at the borders of Oregon. On the island, no Democratic incumbents were defeated, Sen. Jeff Merkley and Gov. John Kitzhaber and four Democratic congressmen were handily re-elected, and the party picked up one seat in the state House and at least one in the state Senate. It wasn’t a huge legislative increase – except that virtually everyplace else, Democratic legislators (and majorities) were being hauled out to the recycling bin. Since 1992, Oregon, Washington and California have been a West Coast Democratic firewall, with the neighbor states even a bit bluer than the beaver. But this year, Washington Republicans gained a direct majority in the state Senate, and California Democrats lost their legislative supermajority, with half a dozen blue congressional seats hanging on absentee ballots. Possibly Oregon was just too focused on Duck football and autumn beers to notice the national trend. There were, of course, particular reasons for this year’s Oregon returns. A year ago, when Kitzhaber appeared untouchable, Dennis Richardson became the Republican nominee almost by default; after the governor’s huge polling lead dwindled following the Cylvia Hayes stories, it seemed that either of the previous two GOP nominees might have actually won. In the Senate race, Monica Wehby imploded early, and the doctor’s waiting room cleared out; about 150,000 Oregonians who voted for Richardson couldn’t bring themselves to back Wehby. Returns suggested another difference. In a midterm election where national turnout looks to be the lowest since 1942 – when a lot of Americans found themselves out of town – and there seemed a particular drop-off in Democratic-tending groups, Oregon voters turned out relatively well. California saw its eligible voter turnout drop by more than 15 percent from the last midterm election in 2010, and Washington by more than 11 percent. Oregon’s drop was only 5 percent. More important, Oregon’s Democratic electorate is not the same as in many states; it’s one of the few places where Obama has twice won among white voters. What’s changed Oregon from the Republican dominance of two and three decades ago to its current oceanic blueness is different from the coalition the Democrats are trying to put together in North Carolina. Like everything else in Oregon politics, the change is most dramatic and crucial in fast-growing Washington County, the state’s high-tech center. After the 1994 election, when the Republicans took over the Oregon legislature – so long ago that it was the first time John Kitzhaber was elected governor – the entire county legislative delegation was Republican. As of Thursday afternoon, the last surviving Washington County Republican in Salem, Sen. Bruce Starr of Hillsboro, was clinging to a 64-vote lead over his Democratic challenger. Clearly, the shift owes something to Washington County’s exploding diversity. But as Moore suggests, the change in politics has a lot to do with the change in the county’s economy – a change that he can also see happening in Clackamas, Jackson and Deschutes counties. But Moore doesn’t see Oregon as an island. He thinks Oregon’s changes are similar to shifts in California, and that together we make a progressive peninsula. Beyond Republican difficulties in finding strong candidates – sometimes in finding any candidates – for statewide office, this year’s election shows a deep change in Oregon’s politics and economy that tilts the state Democratic, and enabled it to stand against a national Republican landslide. Of course, for any politician, nothing is ever guaranteed. As people learn every week on “Survivor,” you can always be voted off the island. NOTE: This column appeared in The Sunday Oregonian, 10/9/14. The first thing John Kitzhaber needs to do to get ahead of his ethics problem is something he’s already done: Declare that in his second term, Cylvia Hayes’ consulting business will be shut down. It might not be entirely fair, but at this point the governor’s got problems well beyond fair. The administration also needs to respond quickly to a pile of document requests from the media. And it would be good if getting to see public records somehow didn’t cost newspapers and TV stations several thousand dollars. None of this is crippling, or likely to cast a shadow over Kitzhaber’s next term. He has just been re-elected, if by considerably less than seemed likely a month ago. His Democratic Party seems to have increased its control of the legislature, and when the next session starts, Cylvia Hayes won’t be the central issue. But there are things the governor can do, and different attitudes he could take, that would help his image with Oregonians and cause them to forget this problem a little faster. There’s no evidence Kitzhaber did anything wrong; he shouldn’t act as if he has something to hide. After all, everyone loves a wedding. The weekend before election day can drive you away from your television, even if you’ve been waiting a year to see the Oregon football team resume its conversation with Stanford. The 30-second campaign ads come at you in waves, like the Oregon defense, and not even the leftover Halloween candy can provide enough strength for the ordeal. Traditionally, we are urged to endure the experience as a part of citizenship, keeping ourselves open to the possibly of learning something that might actually affect our votes. Watching grainy, black-and-white pictures of the other candidate, with a breathy, terrified voice-over, is now part of an American’s duty. But it can be particularly aggravating in a mail ballot state, where you might have to watch the last desperate burst of frenzied ads although you’ve already voted. Considering that election officials know quickly who has and hasn’t voted – letting parties send out canvassers to hunt down those who haven’t yet – it doesn’t seem beyond current technology to devise a video chip that could block the ads, issued to those who have already cast their ballots. It would greatly encourage voting. But even for those Oregonians smug in the satisfaction of having already folded their vote into its security envelope and sent it off, last weekend’s campaign ads provided some enlightenment about the state races. Not necessarily about the candidates’ positions on issues – Oregon is, after all, the only place where our major state races hung on three stalking complaints about a Senate candidate and the governor’s fiancée – but about how the races were seen. Over the course of the campaign, Gov. John Kitzhaber and Sen. Jeff Merkley swapped ad approaches, as their races developed differently. Throughout summer and September, Merkley’s ads pounded GOP candidate Monica Wehby – that’s her in black and white in the middle of the screen – for ads supporting her sponsored by the Koch brothers’ political action committee, for the plagiarism issues about her policy statements, for her economic positions. But into October, as it seemed that Wehby could not get within single digits of Merkley in polling, Merkley shifted to warm, fuzzy ads about himself, his roots in Oregon and the ping-pong table in his garage. Candidates often say they want to end their campaigns on a positive message instead of a negative note. But they don’t usually do it unless by then they’re fairly confident of the outcome. Kitzhaber’s experience was just the opposite. As he was seemingly on a minimally challenged path to a fourth term, his ads were positive and personal, from a spring ad featuring close-ups of his cowboy boots and rodeo-sized belt buckle to a September spot when he appeared in front of lovely Oregon landscapes and happy Oregon citizens. But by last weekend, after repeated stories about the background and activities of his fiancée Cylvia Hayes looked to tighten the race, Kitzhaber’s closing TV ads were different. There was his Republican opponent Dennis Richardson – in color, but grainy – together with a selection of Richardson’s quotes about gays, abortion and global warming. As underdogs, Wehby and Richardson, of course, have been on the attack all the time. Still, the weekend brought another message. While Oregon had multiple servings of attack ads as the election approached, states with more tightly contested elections have been served an endless buffet. The North Carolina Senate race has brought in an estimated $111 million. So much time has been bought for the Alaska Senate race that when the governor wanted to buy some late TV time for his re-election effort, there wasn’t any available. Many of the ads in those states are run by independent spending campaigns, whose ads are overwhelmingly negative, and whose money sources may not be revealed. In Oregon, an independent political action committee spent $3 million for Wehby in August, but decided to focus on other states in the fall. So last weekend, there was a message in Oregon not seeing as many ads as North Carolina, or Iowa, or Colorado. Unlike many other states, we had a lot of TV spots about measures, but it’s hard to get too personally negative about a measure. So the way to avoid a weekend – or a month, or many months – of attack ads is not to have closely contested elections, which doesn’t seem like the answer, either. At any rate, this round is now over. We now return your television to its regularly scheduled advertising. NOTE: This column appeared in The Oregonian 11/2/14. If your child had a serious medical problem, would you consult the Centers for Disease Control, or Fox News? If your answer is Fox News, you’re probably for a quarantine. People who are actual medical professionals don’t support quarantines for everybody who returns from Ebola territory, or for everyone who goes there to provide treatment and help. It’s unnecessary for the people who, like the nurse imprisoned by New Jersey Gov. Chris Christie, show no symptoms. It hurts our chances of actually getting control of the epidemic. That’s true even if declaring a quarantine can get a governor a TV sound bite. It’s amazing that a president of the United States would even have to say that. Public health should not be an argument between spin and science. NOTE: This commentary first appeared on KGW-TV, 11/1/14. Just when it seemed the 2014 campaign in Oregon had reached its peak of excitement, last week brought the largest political contribution in state history, when the agribusiness company Dupont Pioneer of Iowa cut a $4.6 million check to the campaign against GMO-labeling Measure 92. With no possible involvement by Cylvia Hayes. We may not be attracting as many jobs as we’d like, but we’re having no problem attracting money. With so many states obsessed with voter I.D., maybe we should consider the question of advertiser I.D. – at least for grammatical purposes. Two other out-of-state billionaires have been absorbed by the fight over Measure 90, creating a “top-two” primary that could run outside party Iines. Michael Bloomberg, former mayor of New York, sent in $1.25 million in support, and John Arnold of Texas sent in $1.5 million, writing in The Oregonian Sunday that he thought it could ease partisanship and spread around the country. I have, unfortunately, no personal experience with the thought processes of billionaires, and it’s true that Bloomberg in particular has so much money that for him sending $1.25 million – plus the $400,000 he just added – is like sending a postcard. But it seems a lot to spend on the details of another state’s electoral structure, especially when you could take that money and have three dinners in Paris. Another billionaire with an unfamiliar zip code, environmentalist John Steyer of California, is taking an even deeper interest in Oregon, spending heavily to try to defeat two Republican state senators, Bruce Starr of Hillsboro and Betsy Close of Albany. We don’t know exactly how much Steyer is sending us, but it’s reportedly less than the $1 million he’s spending to help Democrats win the Washington state Senate. As The Oregonian’s Jeff Mapes reported over the weekend, Oregon’s allure has now drawn additional distant billionaires. Paul Singer of New York, seeking to support pro-gay rights Republicans, is spending $100,000 for ads for Senate candidate Monica Wehby. And Robert Mercer of New York, who previously financed two campaigns by Art Robinson against Rep. Peter DeFazio, has given another $1 million to a PAC supporting Robinson’s race this year. No word on whether Mercer sent Robinson a urine sample, which the candidate has also been collecting this year. Oregon’s elections have even drawn big bucks from deceased billionaires, and you can’t get more out-of-state than that. New Approach PAC, funded by the heirs of Peter Lewis of Ohio, sent another $300,000 to support marijuana-legalizing Measure 91, bringing its total contribution to $1.25 million. The billionaires’ bounty matches this year’s wave of corporate cash, marked by Dupont Pioneer’s recent $4.6 million burst. That single check exceeds the $4.5 million cumulative total from Monsanto in the GMO contest, and the hardly-worth-mentioning $1 million apiece from Coca Cola and Pepsi, brought together in the anti-labeling trenches. Not only has the nature of politics in Oregon changed dramatically, but the price tags are getting unrecognizable. In recent years, Oregon corporations and unions, and some individuals, might preen themselves on being major players with a $50,000, $100,000 or even $200,000 contribution. But major national contributors – or rather, investors – are shooting far past those levels, and redesigning the parameters of Oregon politics. There are no state or federal laws – and perhaps none that a Supreme Court majority would leave standing – to prevent an outside contributor from dropping $4.6 million into a governor’s race in its last couple of weeks. Oregon is cute, and in TV terms relatively inexpensive, and a contributor – or corporate spokesman – could explain that while he’s never actually been here, it’s a good place to send a message to the rest of the country. To really explain an Oregon political year, we now need something more than a Voter’s Pamphlet. Maybe the secretary of state should put out a Buyer’s Guide. NOTE: This column appeared in The Oregonian, 10/29/14.